Our chickens are raised on pasture and are fed a certified Organic, non-GMO feed and are never given antibiotics or hormones. We raise Freedom Ranger chickens, which are excellent foragers. 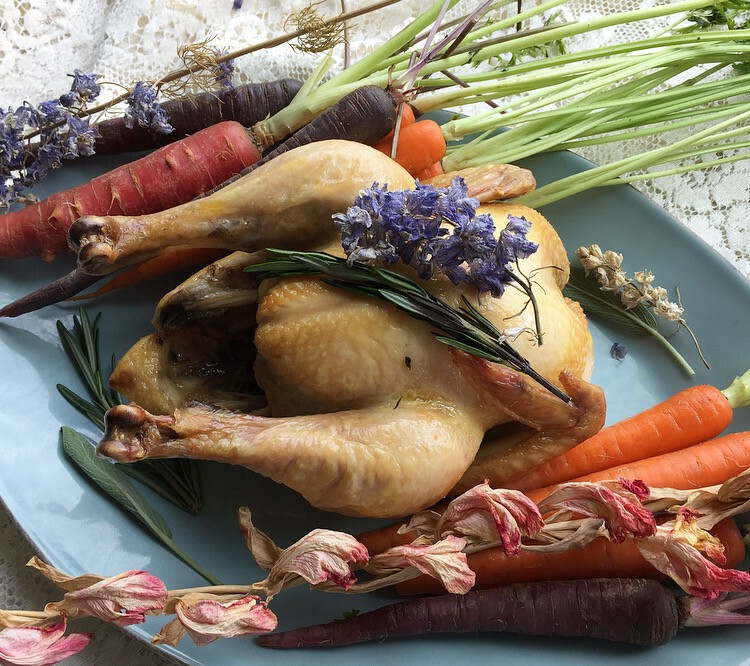 Freedom Rangers have a traditionally smaller breast and our pastured environment creates an incredibly healthy chicken that you can taste immediately.